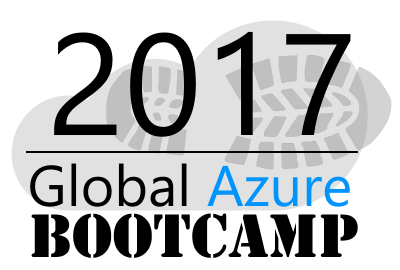 On April 22, 2017 we've held a community Global Azure Bootcamp event in Minsk together with 250+ similar events that were organized by user groups around the globe. Each user group organizes their own one day deep dive class on Azure the way they see fit and how it works for their members. Microservices and Service Fabric, by Andrei Dzimchuk, Software Architect at ScienceSoft. Design of multi-tenant hybrid solution based on hybrid connections & App Service, by Alexander Laysha, Chief Software Engineer at EPAM Systems & Microsoft Azure MVP. BI and big data in Azure: case study, by Roman Novik, Solution Architect at EPAM Systems. Migration to Azure Search in multi-tenant solution, by Alex Zyl, Senior Software Engineer at EPAM Systems. On the way to Azure: monitoring and analytics based on Elastic stack, by Artem Baranovski, Solution Architect at EPAM Systems. IoT solution design based on Azure and AWS, by Michael Vatalev, Software Engineer at Klika Tech. Migration to Azure: notes from the field, by Dzmitry Durasau, Solution Architect at EPAM Systems & Microsoft Azure MVP.